Interested in the inner workings of the universe? Physicists who are Christians are in the privileged position of studying the blueprints of creation and its underlying principles of order and design. 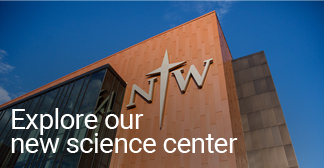 Northwestern's physics department is listed among 24 NWC programs as a "quality department at a quality college" by college guidebook Rugg's Recommendations on the Colleges. Adding a physics minor to your already high-quality education in either chemistry or math will make you a sought-after teacher or research scientist.